← I Didn’t Leave the House AT ALL For Six Weeks After my Baby Was Born: It Was Fantastic! My Ayurvedic doctor recommended to me that I wrap my belly for six weeks after birth. 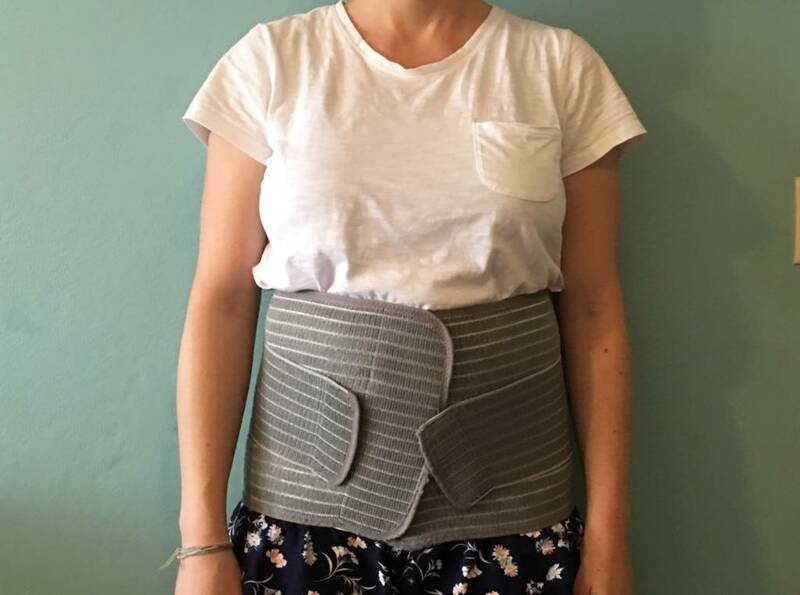 I had heard of the benefits of belly wrapping (or belly binding) with my second baby, but when I was told about it, I was already 7 weeks post partum and sort of past this ‘golden window‘ of opportunity for belly wrapping. Luckily, each time you have a baby, you get a chance to reap the full benefits of belly wrapping. So, when I found out we were having a third, I was happy to know that I could give post partum belly wrapping a try. I guess there’s two schools of thought when it comes to post partum belly binding and they sort of overlap. One is more scientific and the other is more spiritual. The western view of belly wrapping is that it brings your abdominal muscles back together. I had a three finger split (diastasis recti), in my abdominal muscles. That sort of split is typical during a third pregnancy. I remember having to cough an hour after my son was born and MAN did that huuuurt! However, when I went to see my midwife at our six week post partum check up, she was happy to say that my split was less than one finger wide (that’s about as good as it gets after three babies). So, my post partum belly wrapping helped in bringing those muscles back, according to the western ideology. The ayurvedic or eastern approach to belly wrapping is slightly different. By the way, the practice of belly wrapping is present in many cultures around the world, but I’ll just talk about the ayurvedic background. To understand the ayurvedic approach to belly wrapping, you need to understand what vata is. There are three different sort of energies that govern the body (I’ll make this simple). One of these energies is a called ‘vata‘. Vata is movement and air and cold and dry. It’s the energy that makes the baby come out in the first place. My ayurvedic doctor was saying it’s hard to translate the meaning in English, but when the baby comes out, there is a void (a space) where the baby was. This vulnerable space is vata. If you can heal the space (by wrapping), a woman can feel the benefit from it for the rest of her life. If the space is not healed correctly, after six weeks, it seals anyway and can sort of trap a whole array of ailments. Because, when vata is unbalanced, it causes all sorts of mental and physical problems. Following me?? Apparently, the mummy pouch that so many mothers find nearly impossible to get rid of, is excess vata! That’s why sometimes no matter how much weight a woman loses, the belly still seems to be there. Belly wrapping helps to bring all the organs back into their places and it also helps to balance the hormones. When I wrapped my belly, it felt so comfortable. It took away that jiggly feeling. A woman’s digestive system is very delicate after having a baby, so it is really important for her to eat easy to digest food. Warm, soupy, slightly oily food that is easy to digest, is the best for post partum. There are many ways to wrap your belly. The idea is that you lift the belly in and up. I chose the quickest way to wrap. 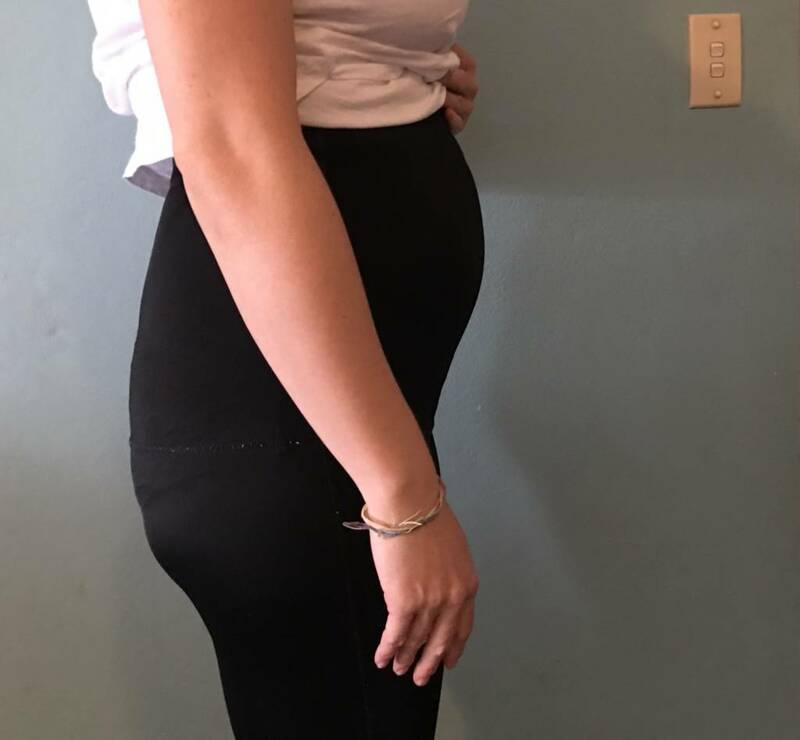 Even though I made the decision to stay at home and not leave the house for the first six weeks post partum (you can read about my experience here), I still wanted to make this easy on myself. A friend of mine gifted me some SRC compression recovery shorts. I called these my uniform, as I wore them the most. Everyday, after a warm oil massage and a shower, I would put these on and wear them all day. You can start wearing compression shorts from about 4 or 5 days post partum. These shorts are really great as they offer good support while being very flexible and super easy to put on. However, they are expensive and can be hot in summer! 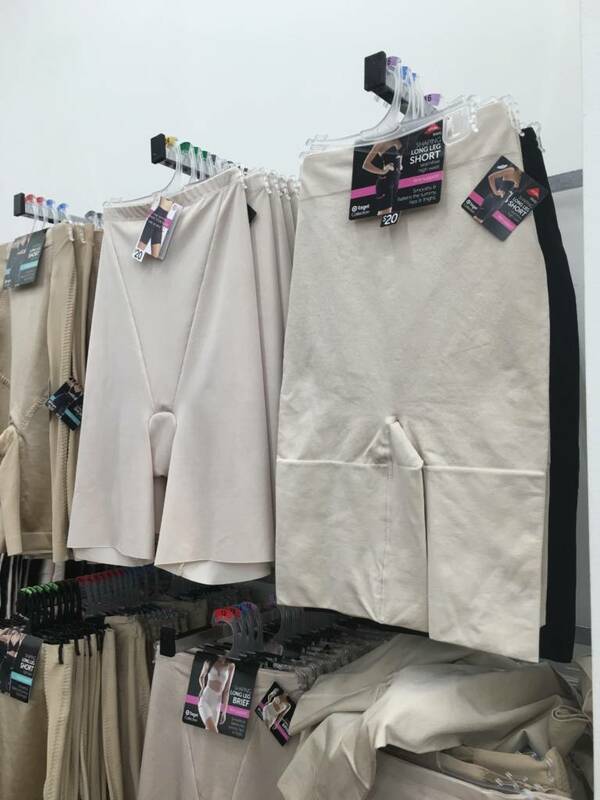 A few weeks ago, I was walking by the undies section in Target and I saw these body firming shorts that look almost identical to the compression shorts and they are only $20, so worth a shot if you don’t want to dish out $190 for the recovery shorts. There are some off brands out there too. You can find them online. I haven’t tried them and they are about $40. 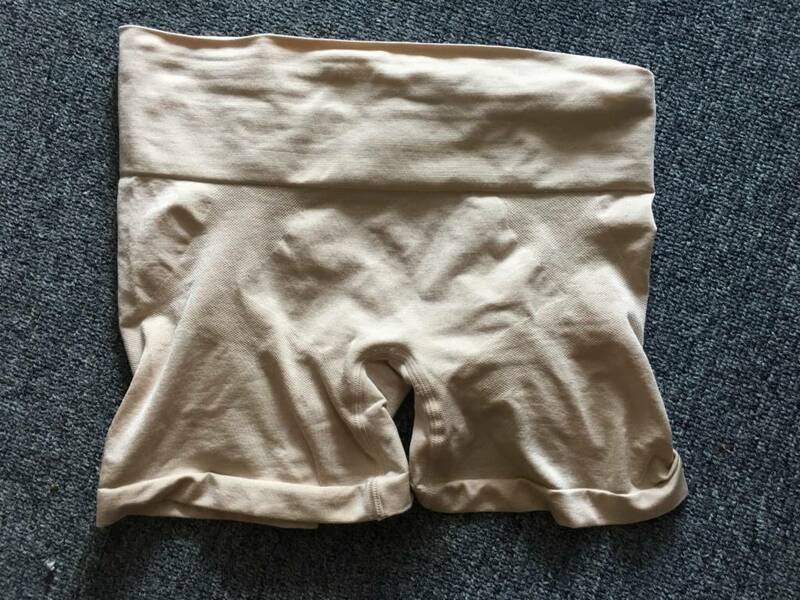 You can also find compression shorts second hand on Gumtree or Craigslist for about half the price and usually in good condition. These are the SRC compression shorts. I saw these body firming shorts in Target and I think they would be a good substitute for the compression shorts. Make sure it says ‘firm’ support. Not bad for $20! These were shorter body firming shorts that I bought after the six week post partum period and they donn’t go up as high. The shorter pair was a good transition short to go from wrapping everyday to not wrapping. At 10 weeks post part, I’m still wearing them sometimes for light support. Another wrap I wore quite often, mostly at night, was this bamboo belly wrap. I got it second hand off gumtree. There are lots of similar ones you can find on line. I liked this one because I could make it really tight. (In ayurveda, they recommend that you wrap fairly firm). However, it was pretty stiff and hard to sit in, so I used it mostly at night, while lying down. I tried using a woven baby carrier wrap a few times… never really felt as good as the purpose made ones and it took too long to put on. But, it is an option. You can google ‘post partum belly wrapping with a woven wrap’ and Youtube tutorials should pop up. You can also use long bandages. Some cultures use a super long and narrow strip of cloth or muslin and wrap it around and around the abdomen. Do a bit of google searching if any of these approaches appeal to you. I looked, and while it looked beautiful, it all was a bit too complicated compared to the propose made wraps. At night, I would sometimes give my wrapping a break and instead go to bed with a hot water pack resting on my belly. The warmth helps with your delicate digestive system. Massaging your belly with warm oil, in a circular motion (clockwise to follow the intestinal tract) also helps. Wrapping afterwards and the combination of warmth with oil helps reduce the vata. Daily warm oil self massage is also recommended in ayurveda to help reduce the vata. You can google any tutorial on how to do warm oil massage. In ayurveda, you’re meant to keep the belly wrapped most of the time. I gave myself a few breaks of an hour or so here and there, but if I left my wrap off for too long, I would feel all gassy and bloated (that’s the vata, the air creeping in). I would put my wrap back on, do a few big burps and farts (haha, yup, that’s the vata coming out) and feel back to normal. The western view says to not wrap all the time because you need your muscles to get strong but I don’t agree with that one. If you had to wear a cast or a brace to heal a wound, you wouldn’t take it off, right? I felt the same with the wrapping. Anyway, I noticed that my muscles were ready to get strong again quickly after six weeks. I’m not one to bounce back quickly after pregnant, but this was my belly at 2 weeks post partum and I was pretty happy it. Much flatter at that stage than I had been in subsequent pregnancies without wrapping. Anyway, the point of wrapping is to reduce the vata, the flat tummy in incidental. 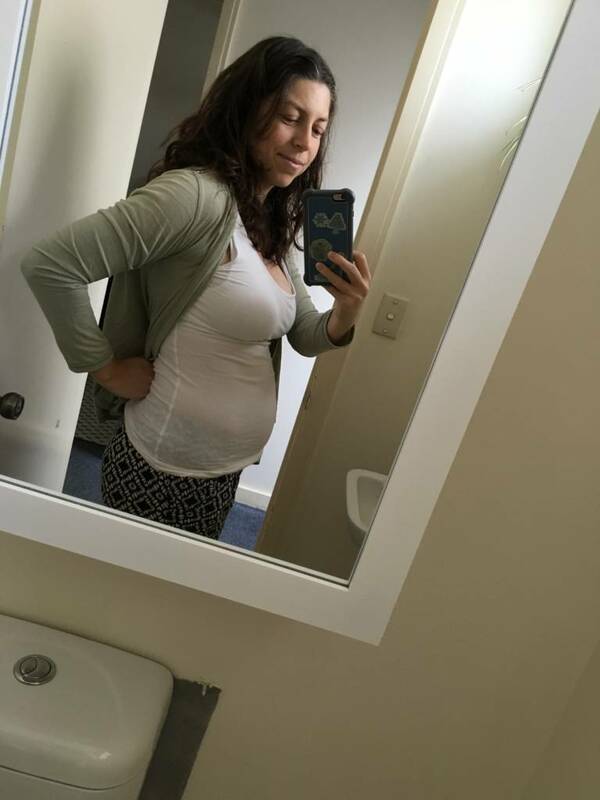 What If You Missed The Six Week Post Partum Window? If you plan on having more babies, you can do it again after their birth. If you’re finished with babies, you can still bind your belly and do oil massage and be mindful of your data (if you feel yourself getting jiggly and bloated). Getting enough sleep, meditation, eating warm soupy easy to digest foods, especially during cold winter months will help. Posted in Child Birth, Health & Beauty, Natural Remedies and tagged ayurveda, belly binding, belly wrapping, post partum. Bookmark the permalink. Thanks for this post Kate! I read it a couple of weeks before I had my 2nd baby. I had wrapped my belly for about two weeks after my first, but now I did the whole 6 weeks, and my abs closed up much nicer than after my first. Thank you!